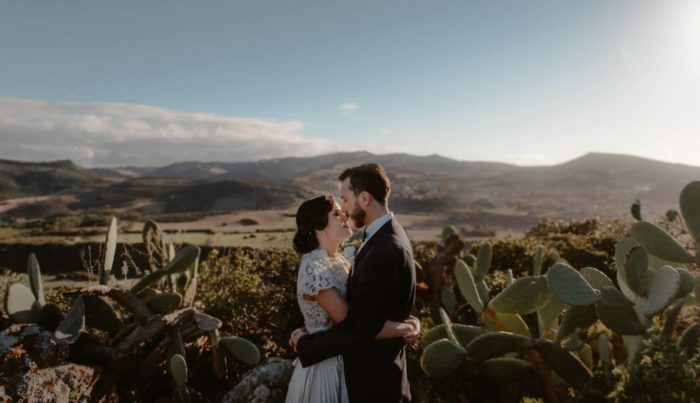 Katarina and Robert decided to gift themselves an holiday in Sardinia to celebrate their first wedding anniversary. For the occasion, they contacted me for a photo shoot with their wedding clothes, in Sardinia. 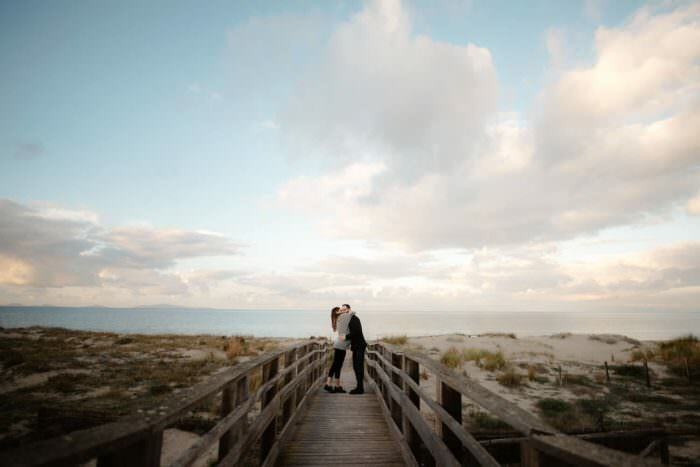 We have seen different locations and, in the end, they fell in love with Alghero. These are two of my favourite places in Alghero. Both are beautiful but very different from each other, red beach and crystal clear sea on one side, a breathtaking view with a unique sunset in Capocaccia. 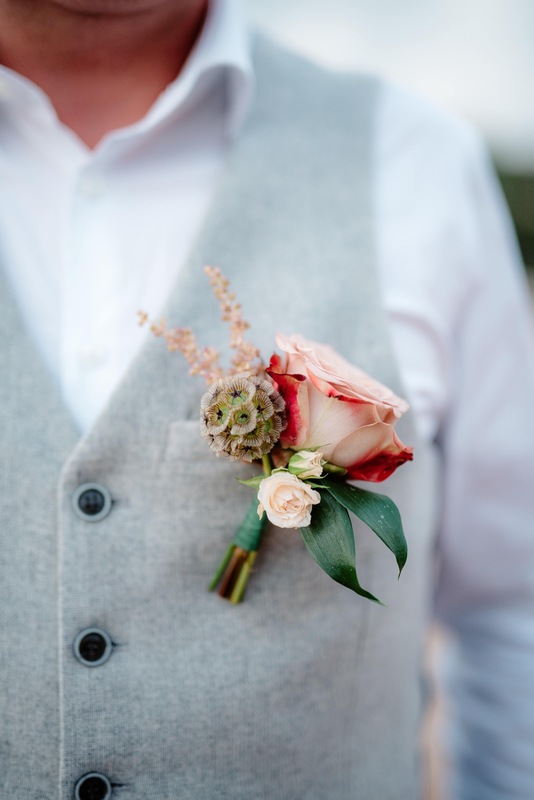 For the occasion, we have chosen together a colour palette for the colours of the flowers, in perfect tint with the atmosphere of the beach we had chosen. They did not have the chance to have photos on the beach on their wedding day, why not make up a photo shooting for the anniversary?. A beautiful idea to relive the atmosphere of the wedding day for only an hour. 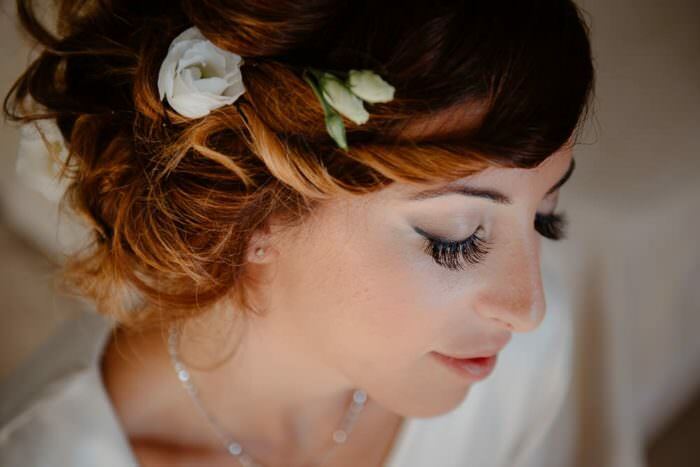 Make up and hair by Hair studio Laura con Camilla.